This section explains how to connect the camera directly to a smartphone. Canon EOS 80D Connection To Smartphone if the smartphone is NFC-enabled: You can easily set up a connection using the NFC function. Set up a connection by selecting [Easy connection]. if you do not know whether your smartphone is NFC-enabled, contact the manufacturer of the smartphone. Connect the camera and a smartphone (iphone) using the NFC function. The operation flow for connecting via NFC is as follows. (1) Turn on the camera and smartphone. 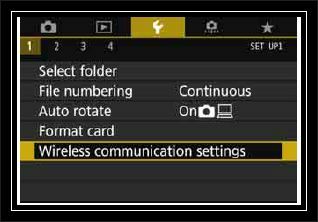 (2) Enable the NFC function on the camera and smartphone. (3) Touch the smartphone to the camera so that they come into contact with each other. For the smartphone’s Wi-Fi setting, NFC setting, and NFC antenna position, refer to the smartphone’s instruction manual. Touch the mark on the smartphone to that on the camera. When a message indicating the connection is displayed on the camera’s LCD monitor, move the smartphone away from the camera. 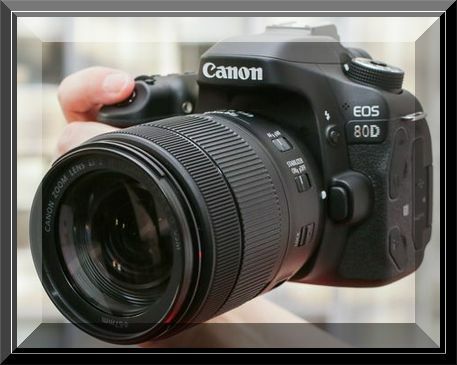 3 Canon EOS 80D Connect to the camera. To specify viewable images, press the <info> button. See step 5 on page 100 to set them. To return to the menu, press the <Menu> button. The settings for connecting to a smartphone are now complete. If necessary, also read “NFC Function Cautions”. By default, the connection settings via the NFC function are saved as the fourth setting (a setting dedicated to NFC connection) under the name [SET4(NFC)]. When you connect the camera to another smartphone via NFC, [SET4(NFC)] will be overwritten. The camera and a smartphone can be directly connected wirelessly. No access point is necessary, so you can establish a wireless connection easily. To establish connection, operations on the smartphone are required. 3 Select [smartphone] (Connect to smartphone). 5 Operate the smartphone and connect it to the camera. Activate the smartphone’s Wi-Fi function, then select the SSID (network name) displayed on the camera’s LCD monitor. For the password, enter the encryption key displayed on the camera’s LCD monitor. 6 Start Camera EOS 80D Connect on the smartphone. 7 Select the camera to connect to on the smartphone. Select and touch the camera to connect to from [Cameras] on Camera Connect. 8 Connect to the camera. When a connection is established, the screen on the left will appear on the camera’s LCD monitor.